Cheyenne Julien in her Bronx studio, 2018. 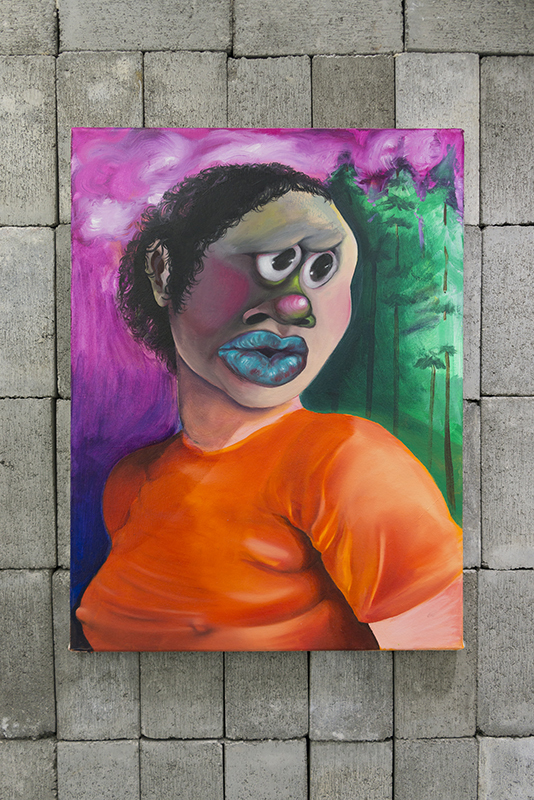 Cheyenne Julien’s portraits present figures with exaggerated, dreamlike features who are often forced to grapple with the prejudices inflicted on black and brown individuals. Their eyes resemble liquid pools, frozen in terror or sedate contemplation, yet there are also expressions of love and playfulness. Julien does not paint from reference, but finds context probing past experiences in order to understand more about her own life. “My work is based on personal narratives. Race is something that is inherent in all of my painting, but some works represent it more overtly than others. I think there is power in clarity, and I also think there’s power in nuance,” Julien says.